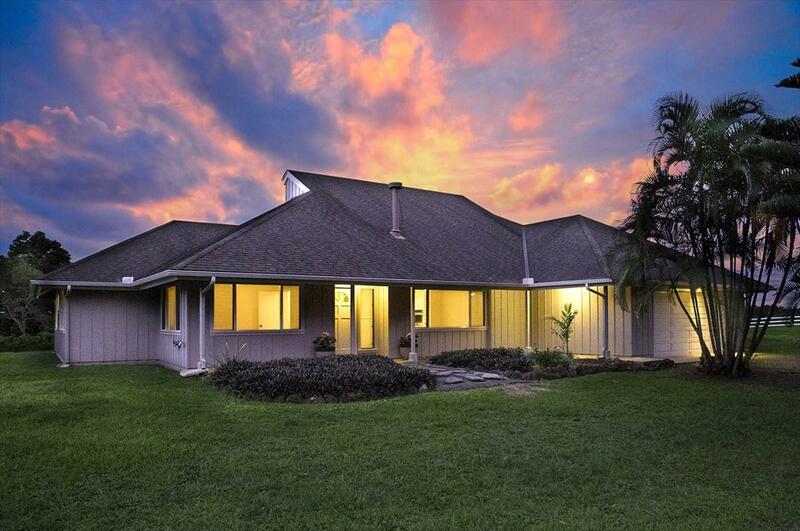 A life of relaxation and leisure awaits the new owners of this stunning island home. Freshly updated throughout, you can simply move in and start enjoying the peace and privacy of this gorgeous home nestled in the pristine natural forests of the island.Large windows and a neutral color scheme highlights the surrounding views, drawing in the luscious greens of the mountains and the sparkling blues of the ocean. Open-concept living allows for a seamless flow between relaxing and hosting, with room for everyone to spread out and relax.There is a large media room, with access to a 1/2 bath and lots of storage, plus a living room and dining space with views of the ocean. A gourmet kitchen sits in the heart of the home and has been updated. A huge 7-foot island, a walk-in pantry, gas cooking and a suite of new stainless steel appliances makes catering for friends an absolute joy. There are 5 large bedrooms housed in two separate wings either side of the living spaces. The north wing is home to the gorgeous master suite. Breathtaking shining bamboo floors, huge walk-in closet, ceiling fan and a master bath with luxurious Jacuzzi, the master suite offers a relaxing sanctuary at the end of the day. There are 2 more bedrooms located in this wing, both with polished bamboo floors, and ceiling fans. The south wing features 2 more bedrooms, both with views over the immaculate gardens and out to the surrounding landscape. 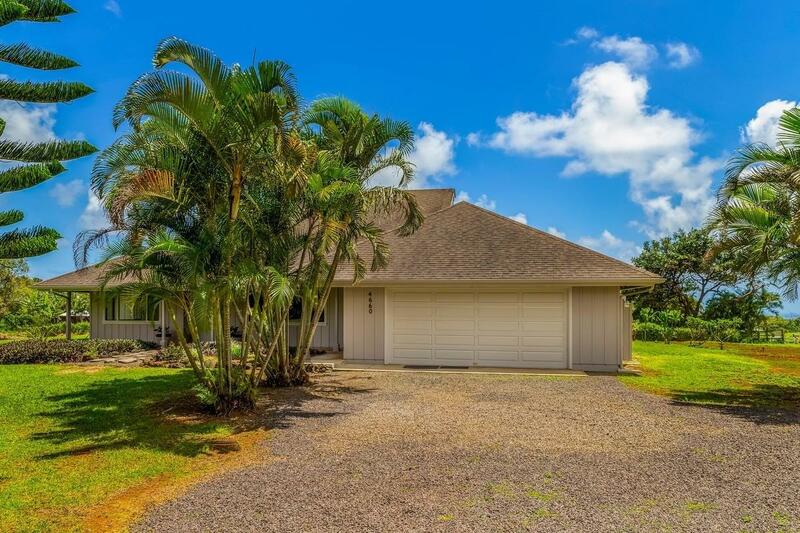 For extra functionality, the home boasts 2 full baths and 3 1/2 baths, new USB equipped electrical points, new screens on the windows, new LED lighting throughout, plus a 2 car garage with cabinets, workbench, toilet and outdoor shower. 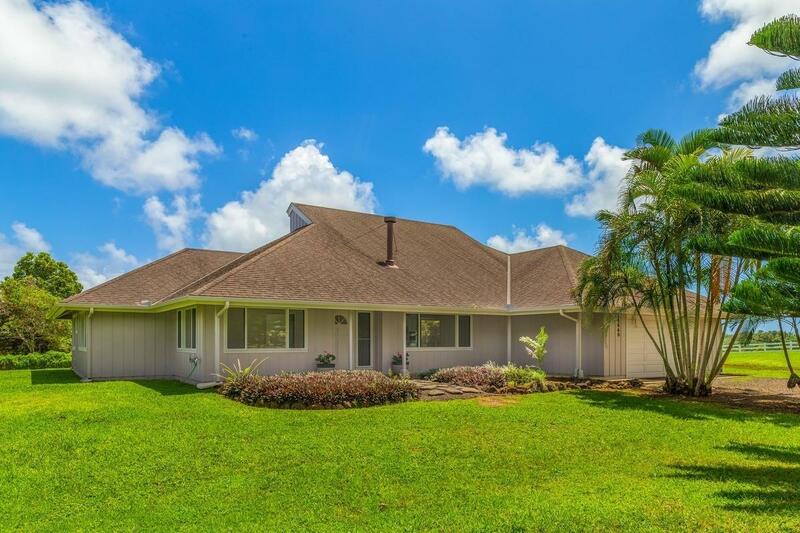 This gorgeous island home sits on 2.5-acres of picturesque land where you can enjoy a peaceful and private setting. Set within the Waipake subdivision, a locale known for its sunny drier climate, so you can spend more time exploring the natural surrounds.The property comes w/ valuable Guest House rights. 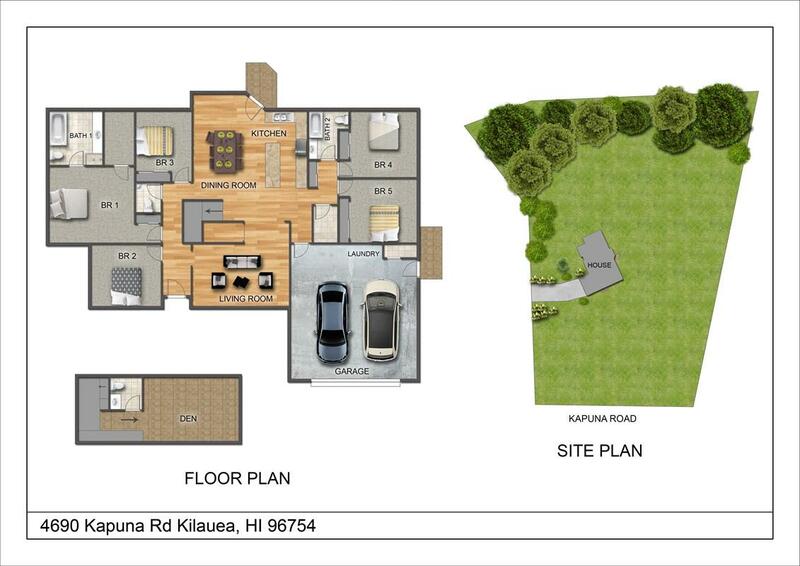 Listing courtesy of Kauai Aloha Real Estate, Inc..